Abracadabra: Little Wigglers, Be Still! Trouble sitting still? 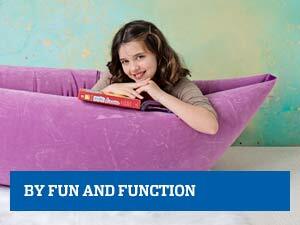 Our air-filled seat cushion stimulates sensory awareness to help moderate the wiggles. Comes inflated! 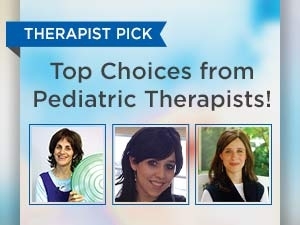 Challenges balance reactions, engages core and encourages proper seated posture. 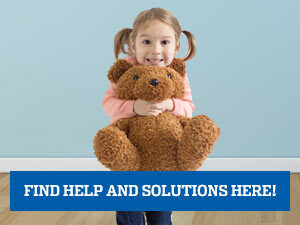 By moving around on the cushion, kids not only stay in their spot but can also benefit from better focus. 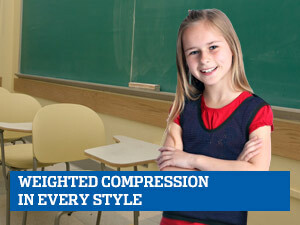 Also works great as a booster seat during school work or while eating at the table. 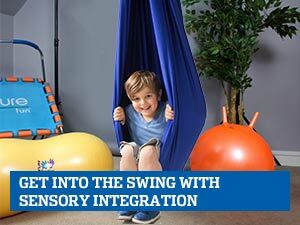 Two-sided design lets kids choose their preferred level of sensory input. Completely smooth on one side with spiky tactile bumps on the other. Comes inflated. Can be further inflated with needle pump (sold separately). Once cushion is inflated, it cannot be deflated. Furry Seat Covers add comfort and tactile input (sold separately). Use with adult supervision. This is one of my favorite Fun and Function products that I have recently purchased! My 5 year old kindergartener who is on the spectrum sits on magical cushion when doing homework! I instantly noticed a difference! First, it served as the right height to boost my son at an ideal height to sit comfortably to writing and doing i-ready computer lessons at our cafe round table. Also, the air in the cushion makes for nice seating to support his focus, I find! The price I thought was affordable. I highly recommend. Definitely helps the wiggles and for posture. My 3-year old son uses this at school and loves it! He works on the floor mostly anyway and this is an excellent solution, thank you!! The cushions have been a good purchase. The students like to use them, and they are an easy resouce to use and store. The are easy to clean and disinfect after uses and are well constructed and durable. I won this fantastic cushion as a prize and I am super happy that I did! It is multi purpose and oh-so-helpful. It serves as a washable booster seat for my two year old, and an exciting sensory toy for my crawler to climb on. Most of all it works better than coffee or coke to keep the yawning mom awake at her desk at work! Wonderful addition to our sensory tool box ;) Our son needs this in order to get the most out of his therapy sessions. Thank you again for having such wonderful products along with reasonable prices. My daughter loves this cushion. We are now able to sit at the table, as a family, for our meal. Without this cushion she would be walking around the table picking at her food. I would recommend this. My son loves this! Perfect for that hard input he is looking for. Doubles as a Sensory Toy! Loves sitting and standing on it! I wish they made a smaller version, but overall we love this product! My son likes it much better than other cushions he has tried. It's great for sitting, standing/balancing, rolling, . . . . Great value for the price, too. Excellent sit disc. Much more stable on the chair than other discs due to the flat surfaces. Nice color and a great smaller size but I'm not sure it's working to get the wiggles out. The kids love playing with it and sitting on it though. what's the difference between BA1881 and BA1884? BA1881 measures 13"diameter and inflates to 4.25'H. BA1884 measures 12" diameter for small chairs and inflates to 5"H. Whilst both feature two-sided design, BA1881 offers different levels of tactile input and BA1884 is completely smooth on one side with spiky tactile bumps on the other allowing kids choose their preferred level of sensory input. How tall is the BA1884 Versatile Tactile Cushion after it is inflated?